Halo and Marathon creator Bungie likes to keep its fans dangling. The company’s been slowly teasing information about its next game, Destiny, for awhile now offering up only fleeting glimpses of the game without even confirming what consoles it’s for. Is it an Xbox 360, an Xbox 720 game, or both? What is Paul McCartney doing with it? How awesome is that concept art? This week, Bungie updated its online presence in a way that certainly doesn’t give away anything about Destiny, but it does paint an intriguing portrait of the studio’s future. Bungie launched a new beta version of its web network Bungie.net. This is more significant than your usual website redesign. Bungie.net has been intimately linked with Microsoft’s gaming business. The online player network surrounding Halo 3, Halo ODST, and Halo: Reach have all been connected through Bungie.net. The new version of Bungie.net expands beyond the confines of Microsoft machines, though, allowing users to login to the service with Facebook, Google, and PlayStaton Network accounts. 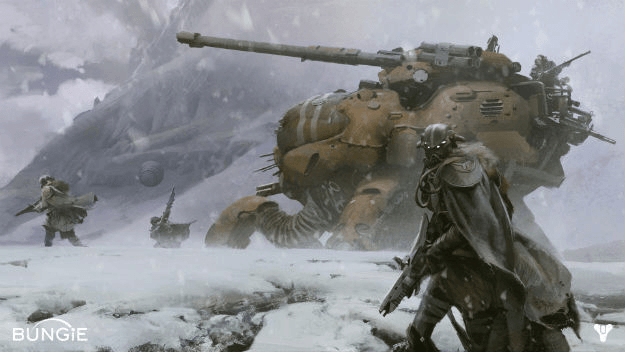 It’s been known but never publicly confirmed that Destiny would be available for Sony’s consoles when it eventually releases thanks to the leaked contract signed between Bungie and Destiny publisher Activision. This is Bungie’s first public move to begin incorporating new platforms into its business.